(Variety) She was the booming voice of the nation's conscience during the Watergate hearings, and an African-American pioneer in politics and other areas. Now Barbara Jordan is the focus of a biopic being developed by Viola Davis and helmer Paris Barclay. Davis is eyeing the project as a starring vehicle that she will produce with her husband, Julius Tennon, through their JuVee banner along with Barclay, Shelly Glasser and Diane Nabatoff. Glasser and Nabatoff optioned rights to the biography "Barbara Jordan: American Hero," by Mary Beth Rogers. Scribe Paris Qualles is adapting the book for a pic that traces Jordan's rise from a poor Houston neighborhood to an elected member of Congress and an influential figure in liberal politics. Glasser and Nabatoff initiated the project a few years ago and made separate overtures to Davis and Barclay. The thesp and the helmer have been looking for a project to collaborate on ever since Davis starred in Barclay's CBS medical drama "City of Angels" in 2000. The prospect of telling the story of Jordan, who died at age 59 of leukemia in 1996, resonated immediately with both of them. "In a world of movies about giants and Martians and toys come to life, if you can actually get involved with a movie about a human who single-handedly changed American politics, you say 'yes,'?" Barclay told Variety. "We're hoping this becomes a movie that shows the world everything that Viola can do. People haven't seen everything that she's capable of, and this role is so powerful." 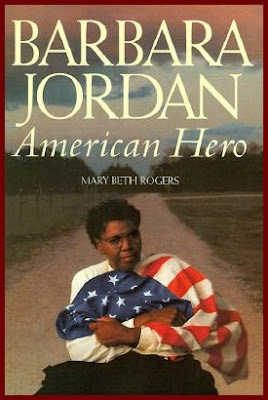 Jordan overcame the discrimination of the era against femmes and African-Americans to became a lawyer. She made headlines in 1966 as the first African-American woman to be elected to the Texas senate. In 1972, she became the first black woman from the South elected to the U.S. House of Representatives (and only the second elected to Congress after Shirley Chisolm in 1968). Jordan was known for her oratory and for her distinctive, stentorian delivery. She commanded the nation's ears in July 1974 when she addressed Congress on the impeachment of President Nixon during the Watergate hearings, which were televised in primetime. Her speech is credited with helping to lay out the fundamental legal and ethical issues at stake, in unambiguous terms, helping to sway public opinion. In an oft-quoted passage, Jordan intoned: "My faith in the Constitution is whole; it is complete; it is total. And I am not going to sit here and be an idle spectator to the diminution, the subversion, the destruction, of the Constitution." Jordan also gave memorable addresses at the 1976 and 1992 Democratic national conventions. After seven years in the House, Jordan returned to Texas, where she taught government at the U. of Texas as she battled multiple sclerosis. President Clinton awarded her the Medal of Freedom in 1994.